Native to Australia's Capital territory, the Golden Wattle is the country's floral emblem. 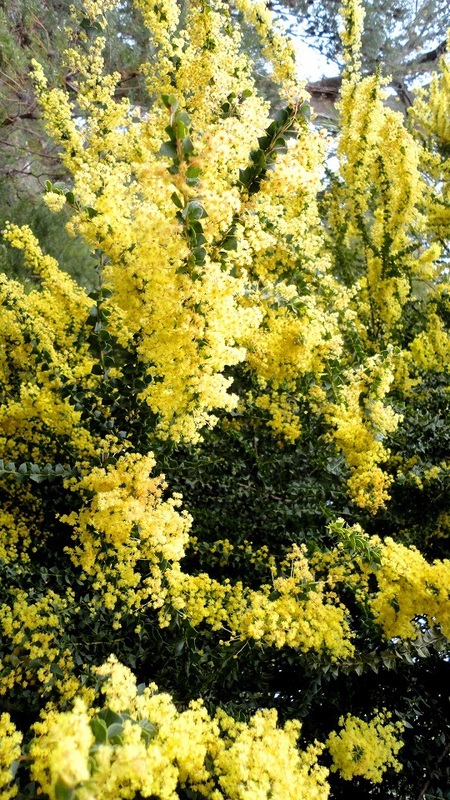 This shrub is characterised by its distinctive yellow flowers. In Spring, petite yellow puffs of sweet smelling flowers in dense clusters populate the entire foliage similar to the shrub I saw at the National Rhododendron Garden.